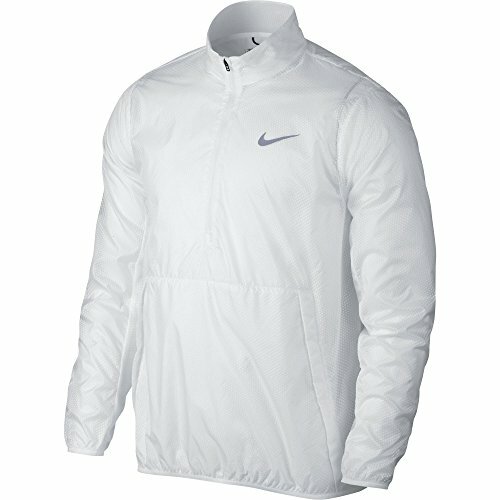 The Nike Hyperadapt Shield Lite Half-Zip Men's Golf Jacket helps keep you comfortable on the course. Ultra-light, water-resistant fabric help block the elements, while the liner holds in warmth. Fabric: Body: 100% nylon. Underlay/mesh: 89% polyester/11% spandex.